The Clean Coalition has an impressive ability to identify the most effective clean energy policies and advocate for their widespread adoption. America's economic future, and its national security, depend on transitioning to clean, resilient, distributed energy, and I am honored to be an Advisor to the Clean Coalition. Josh Becker is the CEO of Lex Machina, the company that pioneered the category of Legal Analytics. Lex Machina allows attorneys to make data-driven decisions to win cases and close business.Josh is the founder of The Full Circle Fund, an alliance of emerging business leaders who help solve public problems through engaged philanthropy and public policy advocacy. FCF has raised over $10M to do public problem solving in the Bay Area.Josh was part of the founding team at Redpoint Ventures where he focused on Internet and wireless investments. Previous employment includes Brentwood Venture Capital, Netscape Communications, and McKinsey & Co. Josh was the 2nd employee at EarthWeb Inc., a start up that went public in 1998.In Washington, D.C., Josh started a successful technology consulting firm and was one of the youngest press secretaries on Capitol Hill. He holds a B.A. from Williams College, an M.B.A. from the Stanford Graduate School of Business and a J.D. from the Stanford Law School. At Stanford he co-founded the Board Fellows Program, which now matches almost 15% of GSB students each year with Boards of non-profit organizations. He also ran a year long initiative on technology and social change. Jeff Byron has nearly 40 years of experience in emerging energy technologies, customer requirements, and energy policy. His focus has been on the technical, regulatory, and financial implications of clean energy and smart grid technologies. Jeff was a Fellow in the inaugural cohort at the Stanford Distinguish Career Institute in 2015 and also served as a board member for various non-profits, including an organization that provides local services for the developmentally disabled and the world’s largest clean technology business accelerator.Jeff began his career at GE’s Nuclear Energy Division and has been involved in all aspects of electric power generation. He has held executive positions at NRG Energy and Calpine. He co-founded BrightLine Energy, a distributed energy provider, and was Energy Director at Oracle Corporation. Jeff served for five years on the California Energy Commission, where he presided over numerous power plant siting cases, public interest research and development, and state energy policy. Rick DeGolia’s principal work is to focus on three early stage IT companies as a strategic business consultant, and often board member. In 2016, he joined Intellipark as its Executive Chairman. Intellipark utilizes advanced information technology to transform the urban parking business. Rick also spends significant time on civic activities: as Vice Chair and Executive Committee member of Peninsula Clean Energy and member of the Atherton City Council. He was elected to the Atherton Council in 2013 and Mayor in 2015.In 2016, Rick helped launch Peninsula Clean Energy, a public entity that supplies 85% greenhouse gas-free electricity to 300,000 customers in San Mateo County. From 2007 to 2013, he worked with various Silicon Valley venture and private equity firms and left in 2013 to launch a consulting business and pursue more community-based activities. John Geesman was the Co-Chair of the American Council on Renewable Energy and was the presiding member of the California Energy Commission’s (CEC) Renewables Committee from 2002 to 2008. His first service in government was as Executive Director of the CEC from 1979 to 1983, where aggressive implementation of the Public Utilities Regulatory Policy Act created the first model for feed-in tariffs. He was the Chairman of the Board of Governors of the California Power Exchange during the tumultuous electricity market restructuring in the late 1990s, and also served on the Board of the California Independent System Operator. Patricia Glaza’s background includes extensive work in emerging technologies, business development, and strategic consulting. Prior to joining the Clean Technology & Sustainable Industries Organization,Patricia was the Vice President and Group Publisher of Small Times, the leading global media group focused on micro, MEMS, and nanotechnology commercialization. She served as the CEOr prior to the company’s acquisition by PennWell Corporation in late 2005.Before Small Times Media, Patricia was Director of Business Development, Marketing & Client Services at HealthMedia, a fast-growing technology and health management start-up company. She also worked at Avalon Investments, a venture capital company focused on technology company financing. Patricia started her career as a consulting professional and manager in the logistics, business services and retail industry groups for Accenture. Mark Z. Jacobson is Director of the Atmosphere/Energy Program and Professor of Civil and Environmental Engineering at Stanford University. He is also a Senior Fellow of the Woods Institute for the Environment and Senior Fellow of the Precourt Institute for Energy.The main goal of Mark’s research is to understand better severe atmospheric problems, such as air pollution and global warming, and develop and analyze large-scale, clean energy solutions to them. He has published two textbooks of two editions each and 135 peer-reviewed scientific journal articles and has given several hundred invited talks on his research. In 2000, he discovered that black carbon, the main component of soot aerosol particles, might be the second-leading cause of global warming after carbon dioxide. For this, he received the 2005 American Meteorological Society Henry G. Houghton Award for “significant contributions to modeling aerosol chemistry and to understanding the role of soot and other carbon particles on climate” and the 2013 American Geophysical Union Ascent Award for “his dominating role in the development of models to identify the role of black carbon in climate change.”Mark has also appeared in a TED talk and served on the Energy Efficiency and Renewables Advisory Committee to the U.S. Secretary of Energy. Dr. Daniel M. Kammen is a Professor of Energy at the University of California, Berkeley, with parallel appointments in the Energy and Resources Group, the Goldman School of Public Policy, and the department of Nuclear Engineering. He was appointed by then Secretary of State Hilary Clinton in April 2010 as the first energy fellow of the new Environment and Climate Partnership for the Americas initiative. In 2016 he was asked to serve as the Science Envoy for U.S. Secretary of State John Kerry, which he did until August 2017 when he resigned over the policies and actions of Donald Trump.Daniel is the founding director of the Renewable and Appropriate Energy Laboratory and was Director of the Transportation Sustainability Research Center from 2007-15. He has founded or is on the board of over 10 companies, and has served the State of California and U.S. federal government in expert and advisory capacities.Daniel was an Assistant Professor and Chair of the Science, Technology, and Environmental Policy Program at the Woodrow Wilson School at Princeton University before moving to the University of California, Berkeley. Dr. Kammen has served as a contributing or coordinating lead author on various reports of the Intergovernmental Panel on Climate Change (IPCC) since 1999. The IPCC shared the 2007 Nobel Peace Prize. And during 2010-11, he served as the World Bank Group’s first Chief Technical Specialist for Renewable Energy and Energy Efficiency. Fred Keeley currently serves as the elected Treasurer for the County of Santa Cruz, California. From 1996-2002, Mr. Keeley served three terms in the California State Assembly, representing the Monterey Bay area. In that capacity, he also served as Speaker pro Tempore of the Assembly. His legislative accomplishments include authoring the two largest park and environmental bond issues in the nation’s history.Fred also authored the Marine Life Management Act of 1998, and was principal co-author of the Marine Life Protection Act of 1999. These two legislative acts are nationally recognized public policy, that based California’s ocean management on the precautionary principle.From 1988-1996, he served two terms as an elected member of the Santa Cruz County Board of Supervisors.Mr. Keeley has served on the Governor’s Commission on the 21st Century Economy, as an appointee of the California State Senate. He also served on the California Fair Political Practices Commission Chair’s Task Force on Revisions of the Fair Political Practices Act. He is a recognized leader in environmental policy, government reform policy, having served for several years as a member of the Board of Directors of California Forward. Felix Kramer is a serial entrepreneur and lifelong environmentalist focusing on innovative technology-related ideas, events, and businesses.In 2002, he enlisted engineers, entrepreneurs, environmentalists, and drivers to promote plug-in hybrids (PHEVs) by technology demonstrations, advocacy, and buyer demand. In 2006, he became the world’s first non-technical consumer owner of a PHEV. He popularized the “100+MPG” goal and “cleaner/cheaper/domestic” to describe electricity’s benefits. Thomas Friedman, in his best-seller, Hot, Flat and Crowded, said, “Felix Kramer has made plug-in electric cars not only his passion but an imminent American reality.”With allies including Andy Grove, Kramer is forging a technical, business and government coalition to spark a new industry to turn millions of large internal combustion engine vehicles now on the road into safe, practical, EVs and PHEVs via OEM-sanctioned retrofits. In 2008, he began advising several transportation electrification and conversion startups. In 2012, he founded DrivingElectric.org, a consortium connecting owners and drivers of plug-in vehicles with potential customers. Hunter Lovins is President and Founder of Natural Capitalism Solutions (NCS). NCS educates senior decision-makers in business, government, and civil society to restore and enhance the natural and human capital while increasing prosperity and quality of life. In partnership with leading thinkers and Implementers, NCS creates innovative, practical tools and strategies to enable companies, communities, and countries to become more sustainable. Trained as a sociologist and lawyer, Hunter co-founded the California Conservation Project (Tree People) and Rocky Mountain Institute, which she led for 20 years.Hunter has consulted for scores of industries and governments worldwide. She has consulted with large and small companies including the International Finance Corporation, Royal Dutch Shell, Interface, Clif Bar, and Wal-Mart. Governmental clients include the Pentagon, U.S. Environmental Protection Agency, Department of Energy and other agencies, numerous cities, and the governments of Jamaica, Australia, and the U.S. She has also served an advisor to the Energy Minister of the Government of Afghanistan.Recipient of such honors as the Right Livelihood Award, Lindbergh Award, and Leadership in Business, Hunter was named Time Magazine 2000 Hero of the Planet and in 2009 Newsweek dubbed her a “Green Business Icon.” She has co-authored nine books and hundreds of papers, including the 1999 book, Natural Capitalism, 2006 e-book Climate Protection Manual for Cities, and the 2009 Transforming Industry in Asia. She has served on the boards of governments, non- and for profit companies. Terry Tamminen has been working for environmental causes for over 20 years, becoming an expert on marine conservation, climate change, renewable energy, waste to energy, and solutions to reduce greenhouse gas emissions and become a more energy efficient society. His history includes founding the Santa Monica BayKeeper, serving as the Executive Director of the Environment Now Foundation, and co-founding the Frank G. Wells Environmental Law Clinic at the School of Law at the University of California Los Angeles.In the summer of 2003, Terry helped Arnold Schwarzenegger win the historic recall election and become Governor of California. He was appointed as the Secretary of the California Environmental Protection Agency in November 2003 and was later appointed Cabinet Secretary, the Chief Policy Advisor to the Governor. During his service in state government, Terry was the architect of many groundbreaking sustainability policies, including California’s landmark Global Warming Solutions Act of 2006, the Hydrogen Highway Network, and the Million Solar Roofs initiative. Terry left state government in late 2006 and then founded the non-profit organization Seventh Generation Advisors. He was also named the Cullman Senior Fellow for climate policy at the New America Foundation and was appointed as an Operating Advisor to Pegasus Capital Advisors. In 2011 Terry was appointed as the R20 Founding Chair’s Strategic Advisor. In 2016, Terry was appointed CEO of the Leonardo DiCaprio Foundation. Jim Weldon has 30 years of technology management and expertise. Before leading Solar Junction as CEO, from founding in 2006 through becoming the world record holder in solar cell efficiency and securing tens of millions in venture and grant funding along the way, Jim was the COO of Translucent Inc. in Palo Alto, a materials research company.Prior to Translucent, Jim was Vice President of the Advanced Products Division at Epion Corporation and Vice President of Business Development and Technology at Veeco Instruments for 25 years. Veeco Instruments is a Semiconductor Process and Metrology Equipment company. While at Veeco, he held many senior and executive management positions within sales, operations, technology, business development, and corporate development. He ran West Coast operations and the Veeco Technology Center for 10 years. Jim’s technical background assisted him in driving business, as well as merger and acquisitions activities. Jim executed due diligence on numerous major acquisitions for Veeco. Throughout his career, Jim’s main focus is to drive new technology into the marketplace. James Woolsey is Chairman for the Foundation for the Defense of Democracies and served as the Director of the Central Intelligence Agency under President Bill Clinton.During his 12 years of government service, Mr. Woolsey was Ambassador to the Negotiation on Conventional Armed Forces in Europe, Under Secretary of the Navy, and General Counsel to the U.S. Senate Committee on Armed Services. He was also appointed by the President to serve on a part-time basis in Geneva, Switzerland from 1983–86, as Delegate at Large to the U.S.–Soviet Strategic Arms Reduction Talks, and Nuclear and Space Arms Talks. As an officer in the U.S. Army, he was an adviser on the U.S. Delegation to the Strategic Arms Limitation Talks in Helsinki.Mr. Woolsey has served in the past as a member of boards of directors of a number of publicly and privately held companies, generally in fields related to technology, energy, and security, including Martin Marietta, British Aerospace, Inc., Fairchild Industries, and Yurie Systems, Inc. In 2009, he was the Annenberg Distinguished Visiting Fellow at the Hoover Institution at Stanford University. Kurt Yeager joined the Galvin Electricity Initiative, an effort to perfect the electric power system, shortly after it was launched by former Motorola chief Bob Galvin in 2005. Yeager works with electricity experts, innovators, and entrepreneurs to design and build Perfect Power System models of a smart, efficient electric power system that cannot fail the consumer. He also leads the Initiative in driving the electricity policy changes necessary for system transformation at the state and federal levels.Kurt previously served as the president and chief executive officer of the Electric Power Research Institute (EPRI), retiring in 2004 after 30 years with the organization. Under his leadership, EPRI evolved from a non-profit industry think tank to a family of companies that undertake both proprietary and collaborative research and development for the electric power industry in the U.S and 40 other countries. During that time, he also guided an industry-wide collaborative effort to address challenges and plan for the future of electric power. 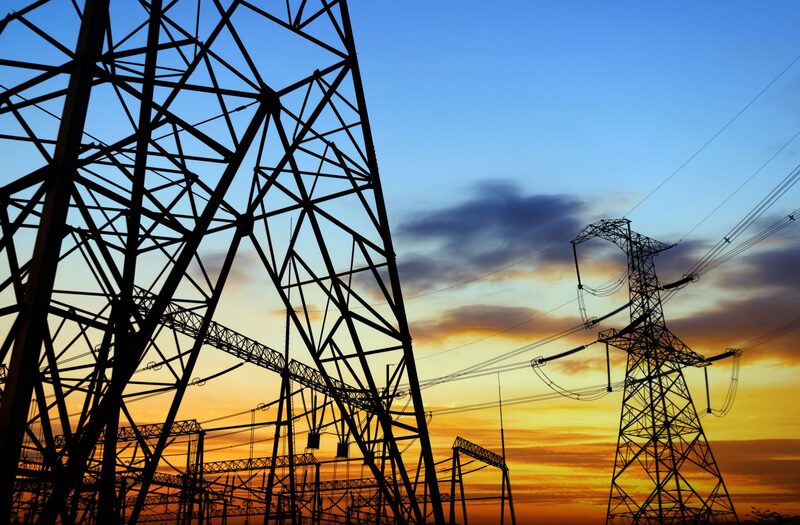 “The Electricity Technology Roadmap” and the “Electricity Sector Framework of the Future” have since become the foundation of utility industry progress.Before joining EPRI, Yeager was director of energy research and development planning for the Environmental Protection Agency’s (EPA) Office of Research. Prior to working for EPA, he was the associate head of the environmental systems department at MITRE Corporation. Kurt served seven years, active duty in the U.S. Air Force and is a distinguished graduate of the Air Force Nuclear Research Officer’s Program. I support the Clean Coalition's farsighted advocacy for the best policies to quickly scale clean energy development. For renewable energy to succeed in competing with traditional sources, government must implement the right policies to encourage market growth and competition. Since its inception, the Clean Coalition has been able to identify strong policies that support these goals. I am happy to add my voice and expertise to the Clean Coalition mission.